We are really happy to announce we have a new author joining the Pict family today. Megg Geri officially becomes a Pict author and valued community member as of this morning, and now you can find her info and books across our website, pages and blog. Megg is not only one of our authors, but she is part of the Pict Team and offers editorial and writing advice to our growing author list. 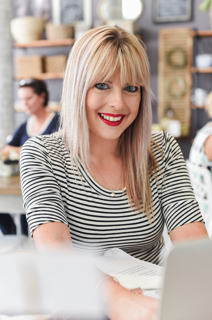 She encourages writer's to make contact and work through any issues you may be having, or just for general guidance. What She says about joining Pict. 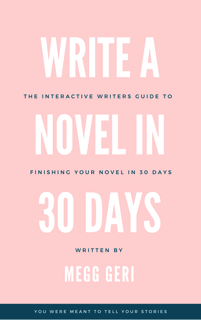 Write a Novel in 30 Days - getBook.at/megg <<<< Get the book. This book walks you step by step through planning your novel to writing your novel. This book is full of personal stories, tips, and exercises to inspire you and to help you write your novel. This book is honest and realistic with an easy to follow step-by-step approach to writing a book. This book is for the writer who wants to follow their dream of completing a book but doesn't know where to start or where to find the time. This is more than just a book about writing, this is a book about surviving the writing process. "I love the practical ways, activities, and interaction that this book offers. You inspire me to write, and you make me want to do more in life and follow my dreams."